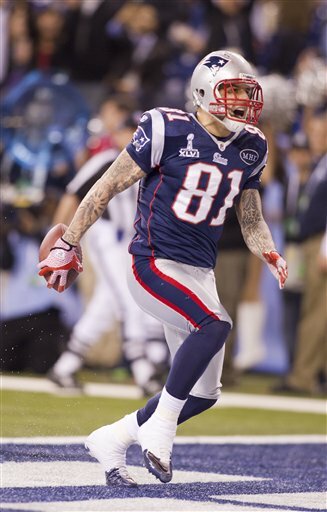 A little more than a week has passed since the New England Patriots lost Super Bowl 46. The feeling always persists that a loss by the Bill Belichick /Tom Brady tandem in a big game signifies an upset of major proportions. Much has been written and said about the negative impact the championship loss to the Giants will have on the respective legacies of the head coach and the quarterback. Let’s inject some reality into the discussion. It can easily be argued that Belichick did one of the best coaching jobs of his career this season. I broke down every game on tape, ending of course with the Super Bowl. It struck me as I finished reviewing all my notes that New England was not an overly talented team in 2011. What they achieved was remarkable given their overall deficiencies. We know that Brady is a Hall of Fame quarterback. We also know that Wes Welker is an outstanding slot receiver, the preeminent player at the position over the last 5 years. In addition, the tight end combination of Rob Gronkowski and Aaron Hernandez is the NFL’s best. Hernandez evolved into the league’s ultimate chess piece, a player difficult to locate and more challenging to cover. The general perception is New England’s offense was dynamic and explosive. The regular season numbers substantiated that. They led the league with 72 pass plays of 20 or more yards. Certainly, that’s very impressive. In the final analysis, however, it’s misleading. Let’s dig a little deeper, as I did in conversations with some defensive coordinators this past week. Coaches speak about dimensions when game planning, and despite the presence of Welker, Gronkowski and Hernandez, the Patriots did not possess any vertical threat in their passing game. They could not stretch the field. They could not attack with the deep ball. It was a dimension they lacked, and in fact, one they have been missing since the 2007 season, Randy Moss’ last productive year in New England. Did they compensate for it more often than not in 2011? Absolutely. Was it an issue against the Ravens in the AFC Championship, and the Giants in the Super Bowl. Without question. They could not camouflage that limitation against either defense. I understand that a more fortuitous bounce of the ball on 2 occasions could have given the Patriots another championship, but that only validates the point. This team won 15 games, and was in position to win the Super Bowl without a critical offensive component, one that every team covets and is necessary for a complete and multi-dimensional offense. The ability to overcome that deficiency was the result of outstanding coaching and elite quarterback play. Let’s turn our attention to the Patriots’ defense. In a passing league, you must be able to rush the quarterback, and cover in the secondary. New England did neither well. They allowed almost 300 yards passing per game, the second highest total in the NFL, and more completions of 20 plus yards than any team in the league. They had a revolving door in the defensive backfield that featured street free agents and wide receivers, and they did not generate consistent pressure on quarterbacks. Belichick made it clear just how poor his team was in the back end with his use of personnel. Matthew Slater? 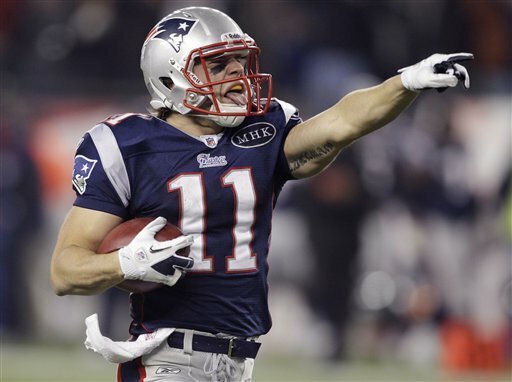 Julian Edelman? I know he’s utilized offensive players in the past (Troy Brown) with some success, but this year’s version was not genius, it was desperation. My guess is Belichick felt the same way. If he felt comfortable with the play of his defensive backs he would not have taken this course of action. It was not a surprise that Edelman, who had been the slot corner much of the last month of the season, did not play a defensive snap against the Giants in the Super Bowl. The simple truth was the Patriots had a poor defense in 2011. We can blame personnel decisions but that’s a different conversation. They still had to line up and play with what they had, and the fact that Belichick was able to get this team to the Super Bowl was extraordinary. The Patriots competed for their fourth Super Bowl championship in the Belichick /Brady era with a flawed team, a team with significant limitations. Think of it this way: In a league now defined by explosive passing, the Patriots could neither throw the ball deep nor stop opposing passing games. Yet, they were a few plays away from winning the Super Bowl. The respective legacies of Bill Belichick and Tom Brady should be enhanced by the 2011 season, not diminished.